Casa Segui offers beautiful views of the Chixulub and the red rock desert a combination that draws many to this region each year. Embellished with modern Mexican chic in mind, this five-star vacation rental villa is perfect place for entertaining, relaxing, and rejuvenating under the desert sun. Located in the gated community of the Mexico, Casa Segui offers three bedrooms including a Master Suite with glass doors that open onto the pool deck. The bedrooms are all huge. The baths are all marbles with granite countertops. Two of the bathrooms have huge whirlpool tubs. There is also a complete kitchen with all appliances, a breakfast bar, and a laundry room with washer, dryer, and sink. There is a lovely view of the ocean from the huge balcony. The deck has ceiling fans and a wet bar with refrigerator. Five-minutes to down town Chixulub, Casa Segui is the perfect luxurious, south of the boarder getaway! World renowned for its amazing fishing, golfing, whale watching, beaches, shopping and nightlife, Casa Segui is the perfect escape for everyone. 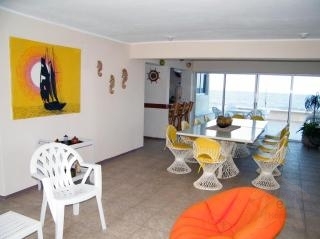 Casa Segui vacation rental rates $150 per night. Rates are subject to change without notice. This is one of the best values in all of Chixulub in terms of luxury experience for the price. Christmas and New Years eve week will cost $1400 each week.